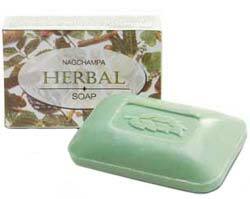 Nag Champa Herbal soap, 70gr. bar. This soap is an excellent skin toner, cleanser and mosturizer.